Qi Sun, Anne Fennell and Dario Cantu participate in INTEGRAPE meeting in Greece. The Integrape meeting is focused on developing FAIR (Findable, Accesible, Interoperable and Reusable) standards to harmonize databases on Vitis genomics, genetics, and breeding. Integrape (http://www.integrape.eu) is a cooperation network sponsored by European Cooperation in Science and Technology (COST, CA17111). 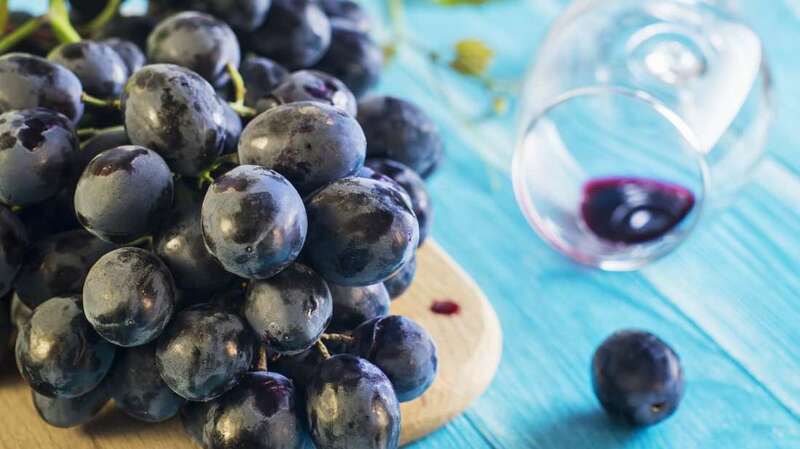 The mission of INTEGRAPE is to bring together all stakeholders in the grapevine research community (academic, industry, policymakers and consumers) in an open, international, and representative network to develop minimal data standards and good practices in order to integrate data repositories and improve interoperability between datasets. The first annual meeting of Integrape was held on March 25th-28th at the Conference Center of Mediterranean Agronomic Institute of Chania, Crete, Greece. Grape researchers from COST member countries of the Europe Union attended the meeting. United States is one of the COST International Partner Countries. Three VitisGen2 scientists, Dr. Anne Fennell of South Dakota State University, Dr. Qi Sun of Cornell University and Dr. Dario Cantu of UC Davis attended the meeting, and presented ongoing projects under VitisGen2. FAIR (the principle that data should be Findable, Accessible, Interoperable, and Reusable) was the theme integrating the meeting. Grapevine research results in diverse dispersed datasets including repository collections, imaging, environmental biology, genomics, epigenomics, transcriptomics, proteomics, and metabolomics. Integrape’s meeting focus was to set up workable plans in the next four years to deliver FAIR data. Action items being discussed at the meeting including data interoperability and data standards conventions, data analysis and best practices, interoperability of infrastructure and web services and dissemination of recommendations and guidelines. Integration of existing databases, e.g. Vitis International Variety Catalogue (VIVC) and the European Vitis Database; adoption of data and meta models like BrAPI and MIAPPE; establishing an international grape data registry to facilitate data findability; adoption of Vitis Ontology by the grape research community. In recent year, VitisGen2 projects have been producing large amount of data associated with breeding activities in the US, with data types covering genomics, transcriptomics, metabolomics and phenomics. With the rapidly increasing mass of data, defining best practice in data management and enabling data interoperability are becoming more urgent issues for research and breeding programs in both US and European. Collaborations between VitisGen2 and Integrape were discussed during the meeting. Initial action items including unifying the VitisGen2 Trait Ontology with the Vitis Ontology; establishment of globally unique germplasm identifiers; common models for data and meta data; participation in annual meetings by representatives of the two projects. Tim Martinson, Craig Ledbetter and Rachel Naegele wrote an article for “American Vineyard” magazine about how VitisGen2 is using marker assisted selection to breed new table grape varieties with deeper coloration. You can read the full article! Lu Yin is a PhD candidate and research assistant at the University of Minnesota, working in Dr Matthew Clark’s lab to breed grapes that are more resistant to the insect pest foliar phylloxera. She answered our questions about her advice to someone just beginning their career (“Don’t be afraid to ask or speak!”), her research project (she grows over 1000 grape seedlings to find the best ones), and how listen to piano music and hymns helps keep her focused and engaged. You can read more about Lu Yin, and view our previous staff spotlights! 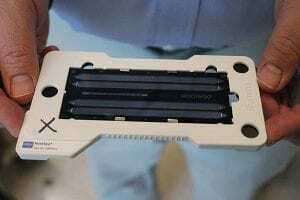 geneticists and breeders to rapidly find and validate 2000 markers in diverse grape varieties and species. These ‘core genome markers’ provide a new set of mileposts that were used during a pilot study by the USDA-funded VitisGen2 project to map traits in six unrelated ‘mapping populations’ representing the diversity of U.S. grape breeding programs, including numerous Vitis species. The VitisGen2 team is excited to announce that our 2019 webinar series will be kicking off next month! 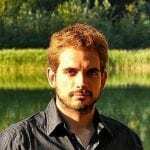 Our first webinar will be with panelist Dani Martinez, talking about “Advanced computer vision techniques: New technologies to streamline grape breeding”. Learn more and register for the webinar! Janet van Zoeren joined the VitisGen2 extension and outreach team a few months ago, when she started as viticulture extension support specialist at Cornell University. Her role with the project involves updating the website, writing articles about project developments and publications, and generally focusing on presenting the work of the VitisGen team to a broader audience. We asked her to talk about her background, role with VitisGen2, what excites her about the project, and how she would describe her job to a kindergardener. Read the full article at: http://blogs.cornell.edu/vitisgen2/team-members/janet-van-zoeren. 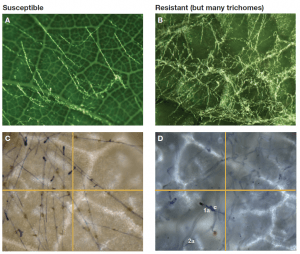 Comparing grape cultivars susceptible (left) vs resistant (right) to powdery mildew, with human microscope imaging above vs. using computer vision below. A new article by Tim Martinson and Lance Cadle-Davidson was published in the December issue of Wines and Vines. 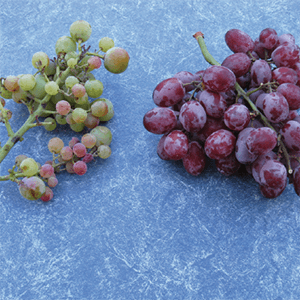 The full pdf of the article is available at “The Phenotyping Bottleneck: How grape breeders link desired traits to DNA markers“. Surya Sapkota, post-doctoral researcher at Cornell University and long-time member of the VitisGen projects, works with preparing, inoculating, and processing grape leaf tissue samples for powdery mildew resistance assessments. We asked him some questions about his background (he learned about growing crops at a young age from his parent), his role with VitisGen2 (“I work closely with experts in robotics, machine vision, optics, microscopy, and image analysis to facilitate high-throughput phenotyping”), and what he looks forward to when he gets home (his seven month old son). Read the full article at: http://blogs.cornell.edu/vitisgen2/staff-spotlight-surya-sapkota! Alumni Update – It’s a Boy! Shanshan Yang, a former postdoc on the VitisGen1 genetics team, is proud to announce the birth of her baby boy, Ryan, on June 5th! 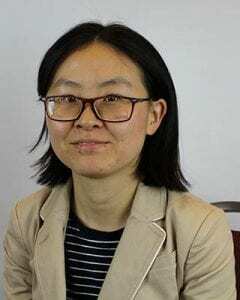 Shanshan is currently the Bioinformatics Core Manager at the Biodesign Institute of Arizona State University. Congratulations, Shanshan! Posted in Alumni Updates	| Comments Off on Alumni Update – It’s a Boy! 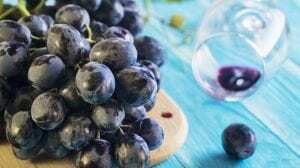 An article by Jen Pinkowski in Mental Floss discusses the lack of genetic diversity in the most commonly cultivated V. vinifera grapes.